One thing I absolutely love about staying home with my kids is being able to witness their growth and development. I think they do this through unorganized play as much, if not more, than the planned lessons I create for them. 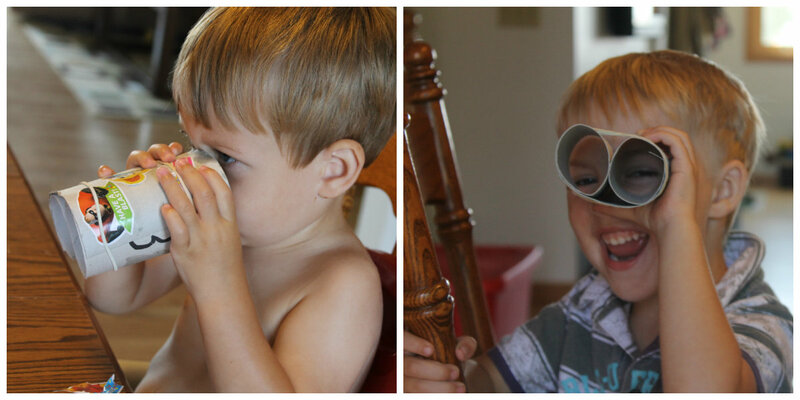 But, even still, I can't help but crack a smile when Spencer's interest in our projects is evident in our everyday life. If we happen upon something that is even remotely interesting and Spencer yearns for more knowledge, of which I oftentimes come up blank, he simply declares we must make a project out of it. Then I mentally (or literally, since my mind isn't as sharp as it once was) make a note of it to later tackle the subject with them. This week was the letter B in our alphabet series. I'm having fun focusing less on the actual letter and more on creating science lessons and even educating myself in the process. Like who knew bees flapped their wings in the hive to keep it cool, much like our humanized version of a fan. This little nugget of information interested me as much as Spencer. I even found myself being corrected by my three-year-old mid-week when the information I was spewing was contradicting information we learned earlier. Geeeesh, kid, I'm only a mother, not a real teacher. We first loaded up with a wealth of knowledge from the non-fiction section of our local public library. We spent each morning before breakfast huddled on Spencer's floor reading a book about the day's subject. Tuesday was bees, Wednesday butterflies and Thursday birds. Then sometime throughout our day, we delved into these topics more through organized projects. And YouTube. Do not forget about YouTube. It's like a virtual video library -- an awesome resource for kids who have an affinity for moving pictures. 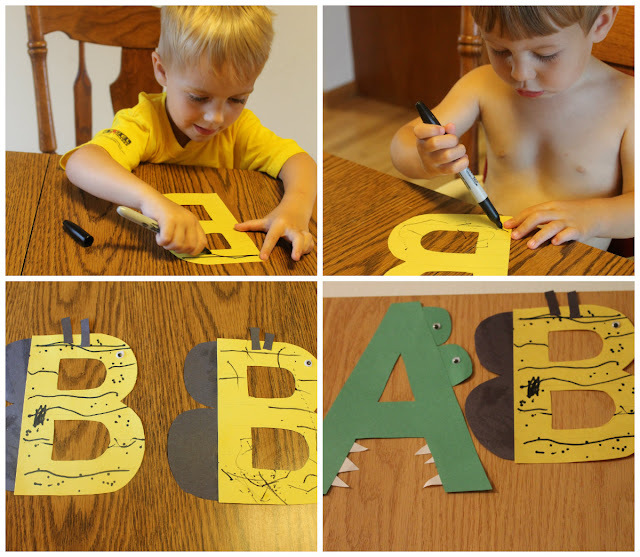 We made bees out of Bs I cut from construction paper for our door alphabets. The boys traced lines with markers (well, attempted anyway) and then pasted the wings and antennae and eyes on. We watched video after video on YouTube* learning all about bees. I created an analogy for Spencer to explain the honey making process: The bees go grocery shopping in the flowers for nectar and then bring it back to the beehive to cook it. We made butterfly pictures with first aid items--bandaids and gauze pads. 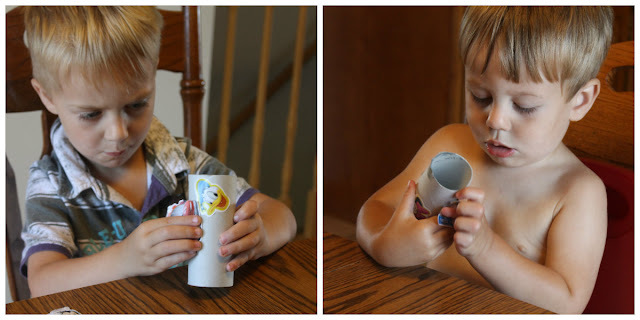 First the boys decorated the gauze pads with Paint Dabbers and then we pinched them together and secured them onto the paper with bandaids. To make: apply shortening to empty toilet paper roll and then roll in bird seed. 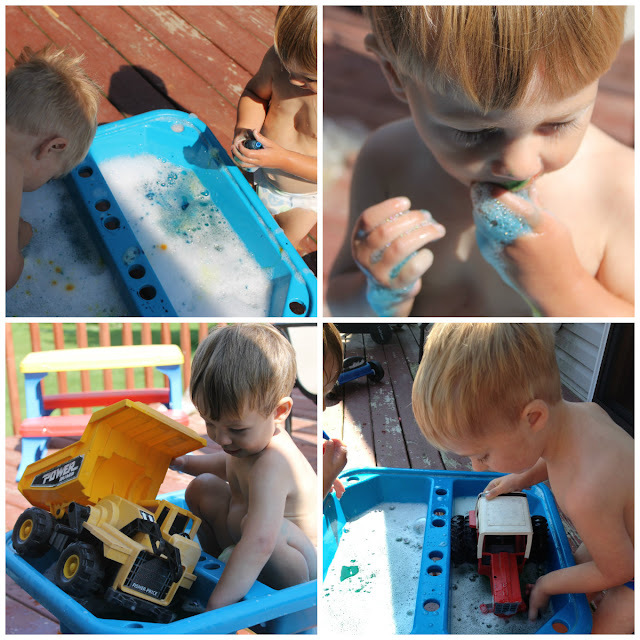 Oh, and one morning I distracted the boys with colored bubbles in the water table while I attempted to make cookies for this weekend's festivities. *Here are a list of the YouTube videos we enjoyed. There are millions of them, though.